I look forward to trying out different flavor combinations in the future. 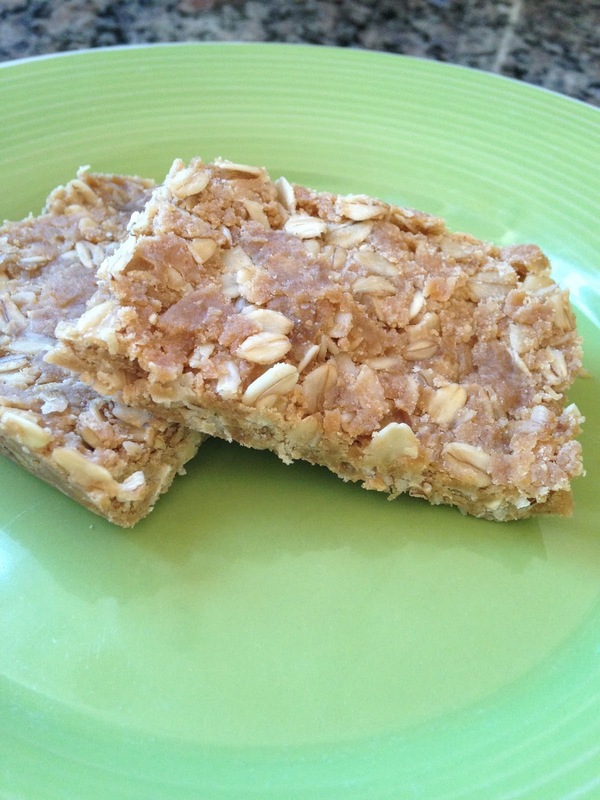 If you have any suggestions for flavors and combinations you have used in your homemade protein bars, please leave me a comment! Start by heating up the milk, honey, and peanut butter in a pan until it is all combined together and just barely starts to boil (once you see the first bubble, remove from heat). Then, stir in the oats and protein powder and continue folding the ingredients until well combined. Put the mixture into a 9 x 13 cake pan (I lined the bottom of mine with parchment paper and this worked really well) and let cool completely in the refrigerator. Once cool, cut into rectangles and enjoy!